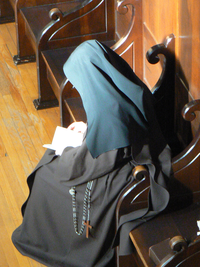 In this phrase is summed up the raison d’être of the Discalced Carmelite Nun: she has withdrawn “from the world in order to dedicate [herself] in solitude to a more intense life of prayer” (Venite Seorsum), bearing in her heart “the sufferings and anxieties of all who seek [her] help, and indeed of all men and women … cooperat[ing] spiritually in building the kingdom of Christ so that ‘God may be everything to everyone’ (I Cor 15:28)” (Verbi Sponsa). 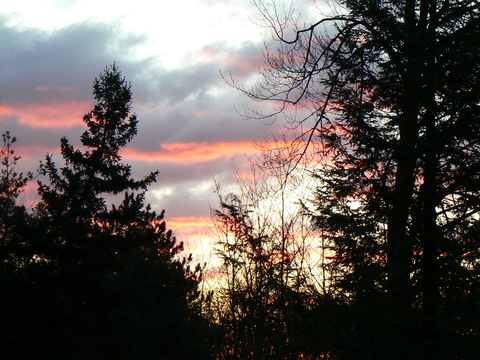 The entire beginning of the day is dedicated to God in prayer, especially the highlight of our life: Holy Mass. 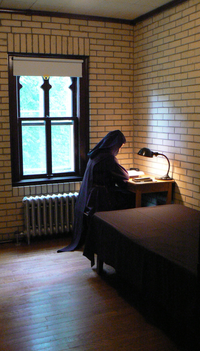 The rest of the day alternates between periods of work, meals, communal recitation of the Divine Office, community recreation, and private spiritual reading in the cell. And all of this prayer and work takes place within the bounds of the enclosure walls. 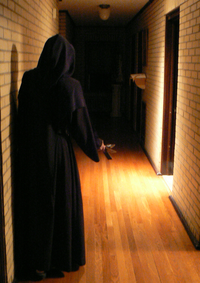 “The solitary cell, the closed cloister, is the place where the nun, bride of the Incarnate Word, lives wholly concentrated with Christ in God” (Verbi Sponsa). “To the gift of Christ the Bridegroom, Who on the Cross offered His body unreservedly, the nun responds in like terms with the gift of the ‘body,’ offering herself with Jesus Christ to the Father and cooperating with Him in the work of redemption. 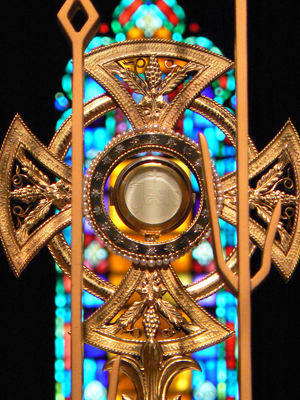 Separation from the world thus gives a Eucharistic quality to the whole of cloistered life, since ‘besides its elements of sacrifice and expiation, [it assumes] the aspect of thanksgiving to the Father, by sharing in the thanksgiving of the beloved Son’” (Verbi Sponsa). 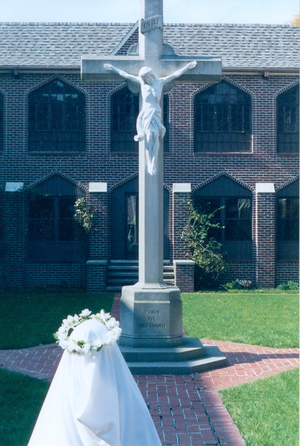 That which sets Carmel apart from other cloistered communities is its emphasis on eremitical living (solitude and silence) within a community setting (a sisterly communion of life) where the focus of all their prayers and sacrifices is the salvation of souls and the building up of the Body of Christ, the Church (cf. 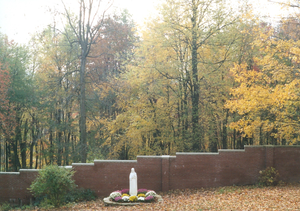 Constitutions of the Discalced Carmelite Nuns, nn. 5, 11, 22 & 23). 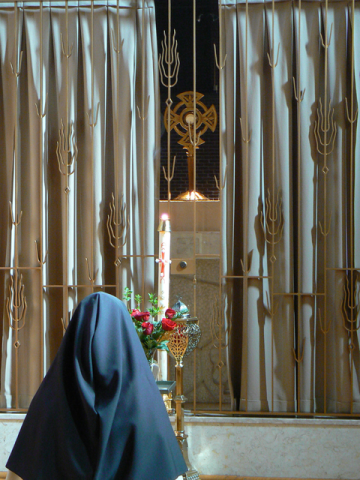 Thus, “wholly absorbed by His beauty, (nuns) find in the cloister (their) dwelling place of grace and an anticipation of the blessedness of the vision of the Lord” (Verbi Sponsa).